24th January 2017, Barbican, London. I look a bit silly in my academic garb but it was a proud day in the graduation ceremony at the Barbican as a Visiting Professor at KCL. 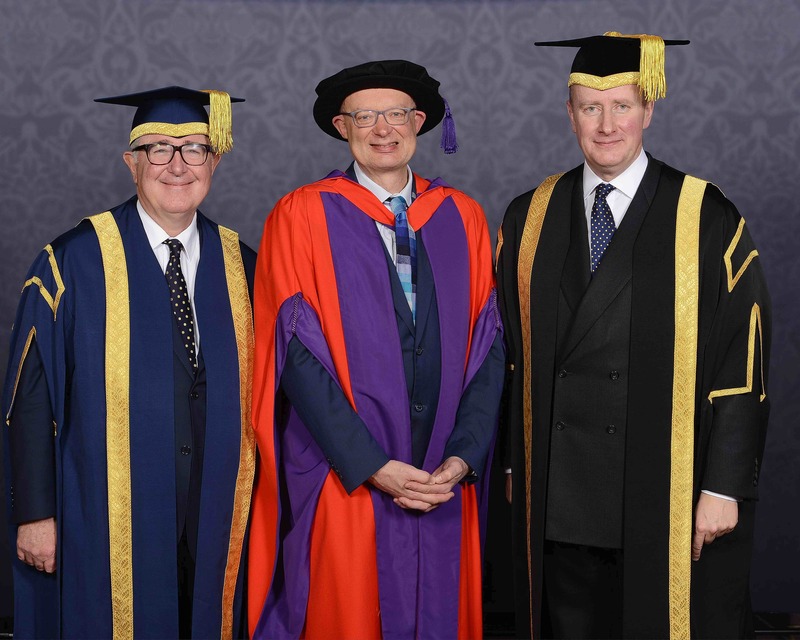 I am pictured here with the President and Principal, Professor Edward Byrne and the Rt Hon Sir Christopher Geidt, Chairman of the College Council. My wife, and 94 year old mother and I were also provided with celebratory lunch. I had an interesting conversation seated next to our Senior Vice-President and Provost (Health), Professor Sir Robert Lechler.